I struggle with decorating my front entryway. I move furniture and wall decor into and out of it on a seasonal basis and am never entirely happy with the end result. After the most recent move of furniture I decided that I wanted lanterns or sconces to flank a painting that was hung above our antique church pew. I searched several local and online stores and couldn't find exactly what I wanted. After walking down this entry hallway for about a week and just staring at the bare wall I decided I would try and get something up there until I could find what I really wanted. 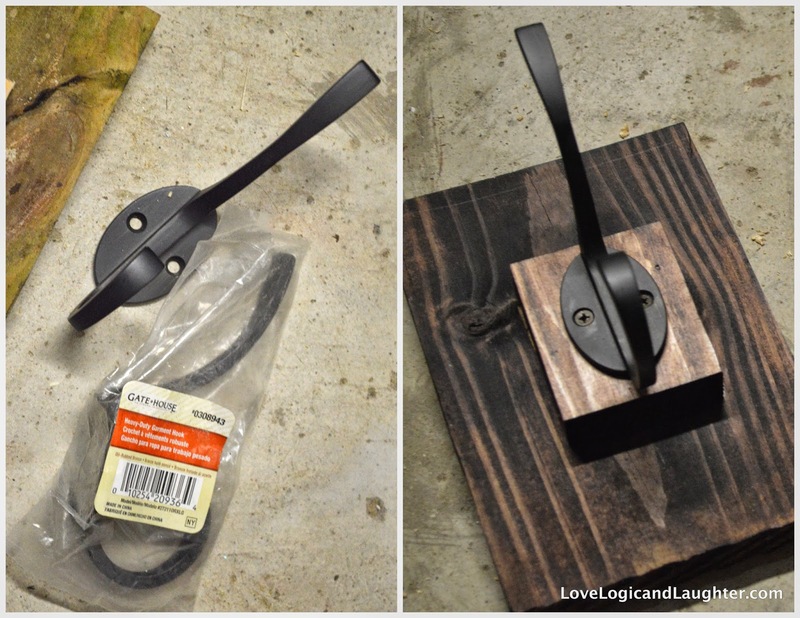 I went down to my basement workroom and toyed around with things that we already had... some screws, some scrap pieces of wood, a couple hooks that were leftover from another project and some stain. 1. Measure the distance from the lantern's ring/hook to the edge of the lantern. In other words, measure half the depth of the lantern. That is the minimum distance your hook needs to be from the wall so that your lantern will hang level. 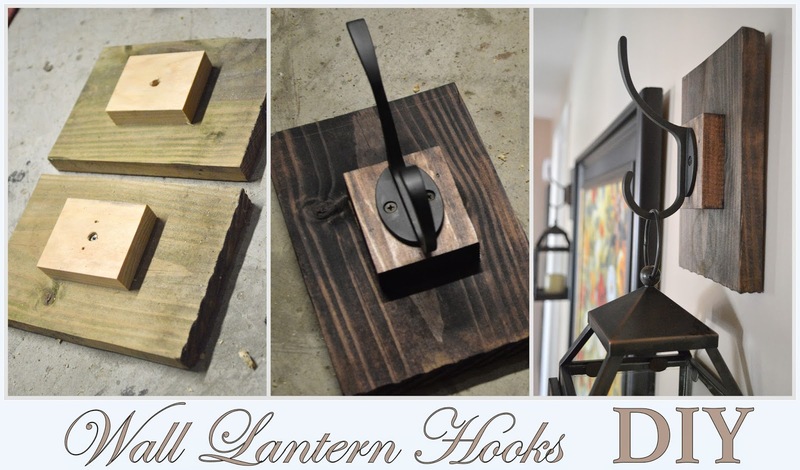 (I needed two 1" thick boards in addition to my hook - if your lantern is bigger than you may need three boards). 2. Cut two boards, one smaller than the other. Place the smaller board on top of the larger board and screw them together from the top (from the smaller board into the larger board). Make sure to countersink your screw head into the board so that your hook can sit squarely on top of the board. 4. Add the hook. I think that these particular hooks were originally purchased at Lowes, but it could have been Home Depot. But really, any hook could work. I added Saw Tooth Hangers to the back of these so that they could attach to a nail in the wall. They work as a great placeholder until I find what I really want in this entryway! And, I already had everything on hand!